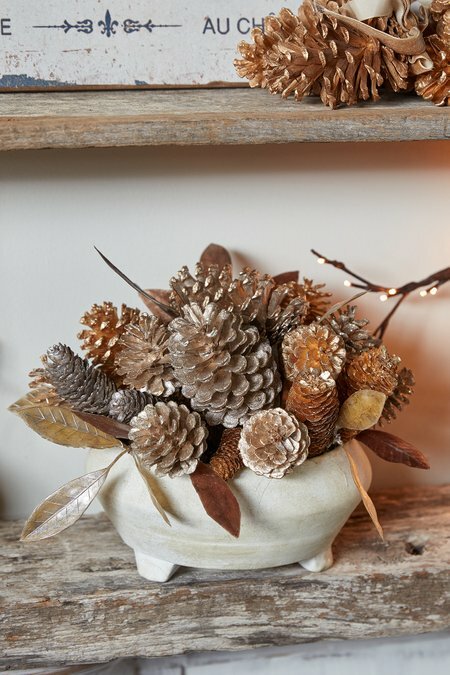 Natural pinecones and lookalike bay leaves become a glamorous, glistening centerpiece when gilded in gold and silver. In a weathered white, earthenware bowl, the mix metallic arrangement adds modern flair from coffee table to dining table to buffet and more. It also makes a lovely complement to our silver or gold pinecone drop (08093).